This post comes right after New Year's Eve. Perhaps you went to a party, perhaps you stayed at home and sanded your floors in your newly bought 1950's home. I did the latter, but I did attend a small shindig... it's what my husband and I call a cereal festival. The one where you stand at your kitchen counter at some un-Godly hour of the night, eat copious amounts of cereal, and act very silly. During our latest cereal festival, we tried Kashi's Sweet Potato Sunshine. Let's just say it was a mediocre festival, and it wasn't the company that made me feel that way. The taste was enjoyable, but not anything to write home about. I'm sure what you are really wondering is... "Does it taste like sweet potatoes?" and the answer is Yes. So, if you have always fantasized about waking up to the smell of baking sweet potatoes, then boy do I have a cereal for you. But, if you are like most of us sweet potato in cold flake form is a bit odd. Now that makes it sound pretty unappetizing, but they were not that bad. The first taste you get is sweetness and molasses, but then you get a strong sweet potato flavor for the finish, which is a bit odd. I love a crispy, savory sweet potato, so the crunch isn't the problem. But, the sweet flavor does not last long, and I felt a bit like I was eating unsweetened chips with almond milk. This cereal does have a few positive points. It stays crunchy for a long time, the list of ingredients are refreshingly pronounceable (mostly) and short. Finally, it is organic and non-gmo. Overall, it is a healthy cereal that lives up to the unfortunate stereotype of a "good-for you cereal": quirky, wholesome, and a unremarkable eating experience. Simply put, don't center your next cereal festival around this one. With a whole car load of supplies, we forgot one thing. The Vegan Marshmallows. After all the disappointment of leaving my vegan marshmallows in the dust, I was determined to give them a fair shot. Because, let’s be honest, what self respecting marshmallow gets eaten raw and is really appreciated? However, we just have one little problem, we live in a town house, with no grill and no way to make a real fire. What do you do? You whip out a fork, and the closest thing you have to chocolate on hand. Yup, we pierced that marshmallow and roasted it over the open stove. Fancy huh? It works, just turn on the eye to medium high and hold your marshmallow over it. Plus, unlike a campfire, as long as you don’t burn the marshmallow, there will never be smoke in your face. In this post, I will talk about the two components that you saw in that delicious looking first picture- the marshmallow, and the chocolate spread. But, first let’s talk about the Dandies Marshmallows, which are, if we’re being honest, the stars of the s’more triology. These gooey morsels come from a company called Chicago Vegan Foods. The brand is dedicated to making tasty cruelty free products that are very similar to their animal product's counterpart. They make Teese (vegan cheese, and Temptation ice cream, and of course, Dandies. In regards to cost, a bag will not break the bank. Each bag will cost you between 4 and 5 dollars. Which initially may feel a bit steep, but for me, it is not that pricey, especially considering that I really only eat about 1-2 marshmallows in one sitting. So, if you are a marshmallow addict that can crush a bag in a few minutes, then you may want to set aside some money in the bank…. And get in touch with MAA (Marshmallow Addicts Anonymous). But, since a bag can last me 12 or more servings, that 40 cents per dessert feels like a steal. On to the most important part, the taste: These squishy love nuggets leave nothing of your marshmallow memories behind. Yep, they taste exactly the same! While I did not get my degree in marshmallowology, I feel confident in making that claim. Their texture is airy, fluffy, and perfectly puffy. 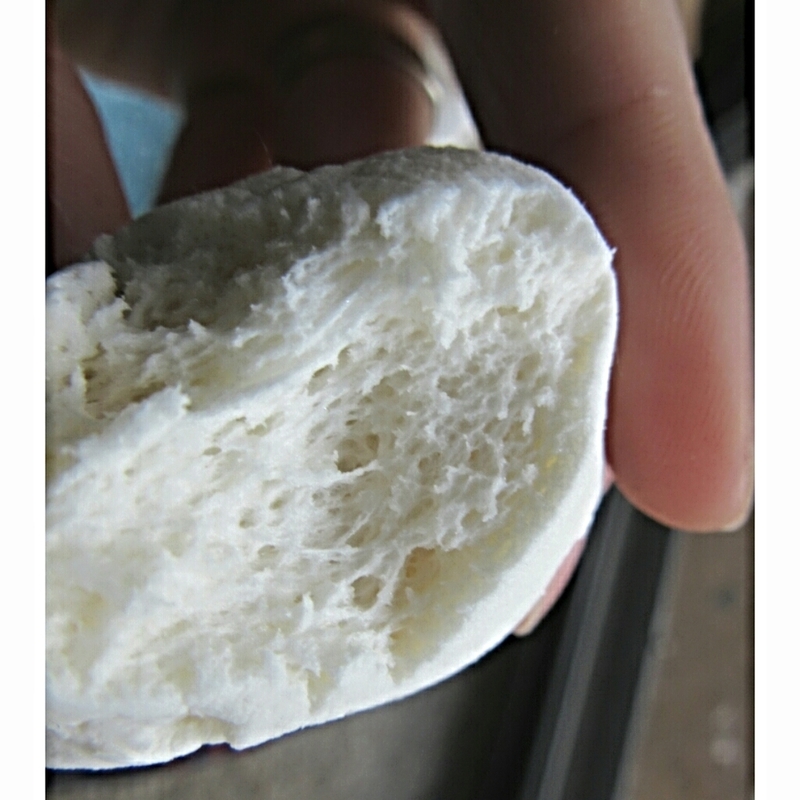 If you pull apart the raw marshmallow, it gives a lovely resistance and is spongy and porous. The bite is springy but not chewy. Perfect marshmallow consistency. As for roasting, the exterior toasts evenly to that subtle golden crunch, and when bitten into, its insides are gooey and warm. The actual taste is mostly sweet and a hint of vanilla. The treat seems to be the the exact same sweetness as its non-vegan version (20g of sugar) in four pieces. In taste, texture and roast-ability, I feel assured that even the most tested boy/girl scout could not tell the difference. Okay, let's talk hazelnut chocolate spread. This single serving packet is a Justin's product, and is really delicious, but could not outshine the magnitude of the elusive and delicious vegan mallow. 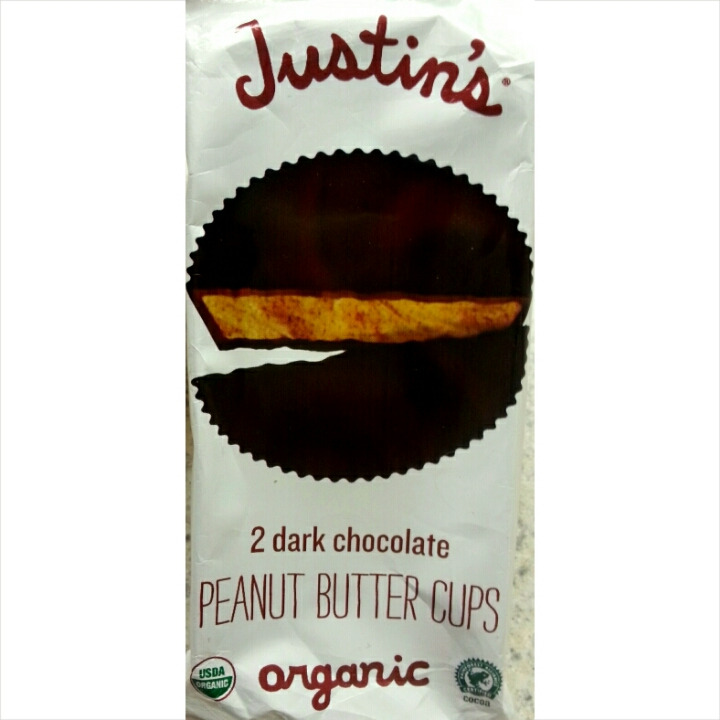 If you are interested in more info about Justin's or their other products, I have a review here: Justin's Peanut Butter Cups. However, I do want to pay this product the homage it deserves. Each single packet costs approximately 1-2 dollars, which is perfect for the occasional treat. Especially, if you love nut butters like I do. I can sit down with a jar of peanut butter and a spoon and feel decadent. I might consider joining PBAA (Peanut Butter Addicts Anonymous). However, doing that with Justin's might put you in the poor house. But, you will really enjoy eating your way to abject poverty. A jar can cost $11.99. We go through a jar of PB a week. With a Chocolate Hazelnut Butter, that would run you 624 dollars a year, without tax! Justin's Hazelnut Chocolate spread tastes like a less-sweet Nutella. So, if you miss Nutella's creamy, chocolatey goodness as a vegan, Justin's has got you covered. The spread is very smooth and comes out of the packet very easily. The chocolate is not too heavy handed, but is still definitely a major flavor. The nuttiness of the hazelnuts and the chocolates marry well. We liked this spread, and I am sure that it would be lovely on toast and with fruit. We tried it alone, with an apple, and on the marshmallow. By far, the marshmallow was the best. The apple was not a perfect pairing. However, I would bet that strawberries would make an incredible match-up. At the end of our impromptu stove campfire, I was blown away by the Dandies. Which was surprising, since I am in no danger of a marshmallow addiction. Foods, like Peeps, never held their sway over me. But, these cylinders of softness are so on the money, that I can't help but praise them. They are the ultimate easy switch. Justin's delivered a solid product. And, they made a great topping, but in the "s'more arena," the sumptuous golden marshmallow won the day. I have a confession to make..... I never liked cheese. I know, I know... this might be sacrilege to some of you as most people would consider themselves borderline addicted to cheese either in their current diets or in their non-vegan past diets. Perhaps you grew up on cheesey broccoli, or in college you looked forward to "Grilled Cheese Thursday." (Go Dukes!) But, I never did. I am not a hater, but cheese did not give me the that foodgasmic experience that so many people describe. I mean, in my former non-vegan days, I liked brie and goat cheese, but that was about it. So, when the day came that I decided to go vegan, I straight up quit cheese cold cheddar. I mean what was there to leave behind? I was not married to cheese or in lust with cheese. I simply knew cheese as an acquaintance. However, I respect all of you cheese addicts out there. I get it! We all have foods that, if left alone and to our own devises, we would bathe in. So, if you are vegan or veganish and are thinking to yourself, "Man, this whole vegan thing is perfect, except for the no cheese problem. " OR If you are vegan with family and friends that say, "I would go vegan, but I just couldn't give up cheese," then I bring you a miracle! Miyoko"s Kitchen Cheeses or Cultured Nut Products are nothing short of incredible! I have tried three other flavors in the past, but the two I have shown here are the Double Cream Sun Dried Tomato Garlic and the Mt. Vesuvius Black Ash. Before you run out to your local grocery store and search the refrigerator section for theses cheeses, know that they are not in stores nationwide. However, you can get the online through their website. These cheeses are not "Grilled Cheese Thursday" material though. This is for two reasons... One, they are not like Teeze or Daiya, because they are not super melty, and two, they are fine share-them-at-a-dinner-party cheeses. To match the "dinner-party" status, they do not come cheap. Each wheel is about 10 dollars, which is not too pricey for a nice evening, but the shipping, while very speedy, is costly. However, if you have yet to try this brand, do not let the price tag, or in my case, the shipping tag, stop you. Save up around 45 dollars and invite a few friends over to try a few fancy cheeses. So, all my cheese lovers, in case you just glanced over the ingredients, please take note of the cultures. Yes people, this is like real live cheese. Cultured bacteria and all! It goes through the same process your beloved brie, cheddar, and Camembert goes through. If you are SUPER interested in how they take nuts and make cheese, the video below with Miyoko Schinner and Cobi Kim from Veggietorials, does an awesome job showing how Miyoko's Kitchen creates delicious vegan cheeses. So, besides being an organic dairy alternative, I really appreciate Miyoko's efforts in providing "cheeses" that are similar to those that so many people crave and love. Now, you won't find their direct counterparts' names on the website, but by the pictures, names, and descriptions you will easily find one that fits your non-vegan tastes. You are probably thinking, "Okay, I get it. They are wonderful, but what do they really taste like?" This cheese is not an exact replica of the real thing. I would not say to eat a slice of gouda and then immediately a slice of Miyoko's cheese, because you will find differences. But, just because something is different (and really not very different at all) does not make it bad. In fact, in this case, I think it makes it better. The Double Cream Sun Dried Tomato Garlic is super creamy, from the cashews and coconut oil, and super sun dried tomatoey. However, the garlic is not very prominent. The texture is like a firm cream cheese, which makes it easy to slice or spread on crackers. However, I could imagine this being amazing over pasta! Even though the color is reminiscent of cheddar, it does not taste like cheddar, it has it's own unique flavor. In fact, my brother-in-law aptly described it as "like a sun dried tomato foam." Not like foam from a wave, but more like molecular gastronomy (fancy food science). Finally, the Mt. Vesuvius Black Ash. This cheese has the exotic appeal and is my husband's favorite. It comes completely covered in ash, so it looks odd when you out take it out of the paper, but it looks so beautiful when it is cut. The contrast of the creamy white against the black is stunning. This cheese has a much milder taste, which suits my goat cheese lovin' side. The cheese is salty, very creamy, and the ash gives it a very subtle burnt flavor. Miyoko's Kitchen recommends this with fruit, and I think cherries or pears would be amazing. However, I just had mine with a light and slightly fruity wine, which paired nicely as well. If I am being perfectly honest, of all her cheeses I have tried so far, these two are not my favorite. I AM obsessed with the French Style Winter Truffle and the Classic Double Cream Chive. Granted, I haven't tried them all, but I can't wait to. I love everything about this company. Their products, their mission, and the people behind it seem pretty dang awesome. However, the thing that I love most about Miyoko's Kitchen is what they make possible. They give the cheese addict a way to align their diet with their values and still scratch that real cultured cheese itch. Their cheeses allow vegans to host wine and cheese parties where no one would know the cheeses were vegan. Miyoko provides the opportunity for vegans to show their friends and families that there are delicious alternatives out there. Miyoko's Kitchen cheese is not a sacrifice. In fact, a friend, who was a cheese enthusiast said, "You know, I think I like these cheeses better than real cheese, and I don't say that lightly, because I used to love cheese." That, my friends, is a success for all involved. So, if you haven't given Miyoko's cheese a try: do it. You just might want to switch from secretly wanting to bathe in cheese to bathing in cultured nut products! Are you a crazy planner like me? Or are you a free spirit, go with the flow kind of person? If you are a planner, you understand what it means to wake up on a Saturday morning, at 6:40 A.M., make a mental list of all the things you hope to accomplish, lay there organizing your day, and sort of wish you could go back to sleep. Sound familiar? If it doesn't, don't write me off as crazy. There is something marvelous to having a jam-packed day full of projects. Yes, it can be stressful, but it gives my life purpose, meaning, and a weird joy. I like order; I like knowing the plan; and I love making the plan. Put me in control baby! However, the major downfall of this is that I always underestimate the amount of time I will spend on one thing, or how much time it takes to pay attention to my relationships. Just because you have a schedule, doesn't mean life's schedule is the same. When you are trying to cram in cooking, making your house look somewhat livable, blogging, walking the dog, and breathing, your day does tend to slip through your fingers, and all the "to-dos" never seem to get done. So, I really appreciate a quick energy boost via snack foods to keep me battling life's schedule and staying on mine. Thus, this brings us to the Pure Organic Bars. I received these as a gift for Easter. Thanks, Mom! But, I looked it up and each bar will cost you approximately two dollars. Dates, Agave Nectar, Cashew Butter, Brown Rice Protein, Walnuts, Almonds, Bananas, Coconut Oil, Coconut Flour, Natural Flavor. I am not so sold on the natural flavor as an ingredient, but otherwise, I love that these are mostly fruits and nuts. Nutrionally, the bar contains 6 grams of protein, 4 grams of fiber, 9 grams of fat, and 6% of your day's potasium. While those stats seem to make a good snack, the bar also has 18 grams of sugar. That is more sugar than a serving of Coco Puffs (10 grams)! True, the sugars are coming from much cleaner sources, but still. After reading the label, it made perfect sense why I was so thirsty after I ate it. The taste is very "banana-y", but I could not really taste the coconut. From my experience, coconut flour's taste, while delicious, can be easily drowned out by other ingredients. The dates and agave nectar make this bar taste very sweet, which was not unpleasant, but was overpowering. The texture was a little bit grainy or mealy, but it was also very moist. These bars reminded me of Larabars, but unfortuntaley not as well-made. The bar pictured above was the second flavor we tried: Dark Chocolate Berry Bar. Chocolate and berries should be a win, but alas, we were not blown away. In fact, these bars did not even muster up a stiff breeze. Nutritionally, the bar has 7 grams of fat, 4 grams of fiber, 6 grams of protein, and 6% of your day's potassium. Again, decent stats, but this bar contains 20 grams of sugar. Which surprises me, because it was not as sweet as the Banana Coconut Bar. The Dark Chocolate Berry Bar tastes strongly of walnuts, and I loved the cranberries inside. These two ingredients provided a nice compliment to each other. However, I could barely taste the chocolate. Again, like the first bar, the texture was very moist, but oddly very mealy. My guess is this texture comes from the nuts, but I have had similar bars to this that do not taste so extraordinarily grainy. I like this company for what they are trying to do here. Create an easy snack that is healthy and accessible to many people. However, it just doesn't quite cut it. Something is missing here. Between unsatifying textures and unbalanced tastes, I do not love these bars. Would I buy them if I saw them in the store? No. Perhaps on a very busy day, when I am trying to scurry about and check off my to-do list, if a Easter basket bar is still sitting on my shelf, I would eat it. My hopes are that this company can make a few recipe changes to really have their mission and taste align. Then, they will make great snacks for those plannerific days. There are two types of grocery shoppers. The first type of shopper attacks the grocery shopping with the tenacity of a swat team. They have beforehand taken stock of the missing holes in the pantry, strategized exactly what they want to buy, and probably categorized the items by aisle into a list. Once meticulously prepared, they burst into the doors and rush up and down the aisles knowing exactly what brands and prices to look for. You probably will notice these people by the clipped way they walk and the frequent squeaky RPM's of their grocery carts. Conversely, the second type views the grocery experience not as an obstacle or something to be checked off, but as an enjoyable experience not to be rushed. This shopper meanders down aisles and stops to ponder the varieties of brands, prices, and new products. When you notice these shoppers, you will see that they could easily be transplanted into a meadow in the springtime, and their behavior would not change at all. Prior to the store, they often come with an idea of what they want, but do not constrain themselves to one product or brand. Both shoppers have their strong suits and pitfalls. The first makes the experience stressful and rushed, but this makes more time for other activities during the day. The second drags the shopping experience to boredom, but they often get the best deals and are willing to try new products. While these types of shoppers are polar opposite, it is possible for them to coexist outside of the produce aisle. In fact, my parents fall into these two different categories and so do Cameron and I. Maybe this is where the expression "opposites attract" comes from. We need each other for balance. For example, I went to the Fresh Market to buy a few things last Saturday. I went in, with exactly the items in mind, and got out. 15 minutes! I happened to go to the SAME store with my dad later that day, we only had three items to get, but we walked out with 7 and took at least 35 minutes. However, the first trip, I passed by The Good Bean Crispy Chickpeas, thinking, "Maybe another time. They are not on my list." But, when I went back with my dad, I mentioned them and, not being shackled to any list, he insisted we get them. There are six servings per bag, and each serving contains 120 calories, 4 grams of fat, 5 grams of fiber, and 5 grams of protein. Each bag costs around 4.50 dollars, which is reasonable if you eat them across six servings. That equates to 75 cents per serving. I only tried these as a snack, but The Good Bean says you can use these as a salad or soup topper or in trail mix. I could see these as being pretty good options. In regards to taste, I was very underwhelmed. Don't get me wrong, the spice/seasoning I really like, but the overall experience leaves something to be desired. The chickpea, which is supposed to be crispy, is less like a chip and more like a compacted saltine. I know these are not supposed to be moist, but the chickpea itself is way too dry. The chewed chickpea sticks around in your mouth, if you have ever eaten a few Saltines at time, you will know what I mean here. The seasoning's taste goes away very quickly, and the taste of the chickpea is not ideal. There is just not much there. I think this problem could be solved in one of two ways, somehow not cooking all the moisture out, OR chop them up to make thinner sections. This way the dry clump of chickpea would be more like a potato chip or cracker. This would also give the eater a higher seasoning to chickpea ratio. Now, before you call me a chickpea hater, I love chickpeas, and have even made some awesome roasted salt and vinegar chickpeas, so I know what good ones taste like. Granted, I have only tried one of this company's flavors, but I imagine the chickpea cooking process to be about the same. I had high hopes for these, because chickpeas make wonderful snacks! However, with a few tweaks, The Good Bean could go from being a Good Bean to a Great Bean. So, the next time you are either powering or meandering through the snack food aisle, explore the roasted chickpea realm and help me find the one that will outshines the rest. Now that the disclaimers are out of the way, let's get on with the review of Tres Agaves Bloody Maria Mix Organic. If you are a fervent believer of "the hair of the dog that bit you," you probably have had your fair share of Bloody Marys. Fun fact, did you know that expression came from one of the crazy and old timey remedies for rabies? Some believed, among with other crazy treatments, that by applying the hair of the dog that bit you (i.e. the rabid dog) to the wound, you could cure their rabies. Thankfully, the expression has less gross and unsanitary implications today. In fact, in Bloody Mary's case, the implications can feel restorative and delicious. However, on this morning, I was not in need of the "hair of the dog," but rather, we had them as a complement to our scrumptious morning breakfast. You can see my vegan version below. Traditionally, most Bloody Marys are not vegan because of the Worcestershire sauce. The sauce has anchovies, which makes it both not vegan nor vegetarian. So what is a Bloody Mary lovin' girl to do? Well, Gracias a Dios for Tres Agaves Bloody Maria Mix Organic. This mix can be added to tequila or vodka, or I think could stand on its own. However, if you have never tried a Bloody Mary before, a good indicator on whether or not you will like it relies on how you feel about tomatoes and tomato juice. This particular mix is very tomatoy and a little bit spicy. However, this combination make my taste buds very happy, because I have always liked tomato juice. We complimented the drink with some spicy green beans, which certainly kicked up the spice. However, I think the mix does not require added spice or flavoring. If you are a real heat seeker and you want your Bloody Mary to wake up your pores early in the morning, something like these green beans make a nice addition. I really liked this company and the overall cleanliness of ingredients compared to its competitors. Since the mix is organic and free from high fructose corn syrup, the Bloody Maria does not feel like a syrupy, overly processed cocktail. The bottle contains one liter of mix and costs around 12 dollars. So, when making a delicious and arguably somewhat nutrious breakfast drink, you are getting a pretty good deal. Considering the fact that there are about 5 servings per bottle, depending on how big your drinks are, you pay about 2 dollars per serving. Compare that to a morning at brunch, even a 5 dollar Bloody Mary is expensive. Whether you are enjoying a special breakfast with friends and family, or you need "the hair of the dog," I do recommend Tres Agave Bloody Maria Mix. It is a simple vegan/vegetarian option for a frequently fishy and overly-processed drink. As long as you love tomatoes, you are going to want this liberally imbibed regardless of who bit you. Ever since I was a kid, I have always enjoyed Easter. Don't get me wrong, it is no Halloween, but Easter is pretty special. Easter time means a lot of things. It signifies warmer days, and thank God, because I am tired of chapped lips, frozen fingers, and slipping into a frozen car every morning. It also is a happy time; when I think of Easter, I often find myself bouncing and singing, "Here Comes Peter Cottontail." I am not sure my husband loves the last reason, because it is easy to quickly tire of lines like "orchids for your mommy," and "hoppin' down the bunny trail." But, he is a gracious and patient husband and indulges my nostalgia. And regardless if you are religious or not, springtime and Easter provoke a growing joy that is nothing but contagious. Now, coconut does not just take the shape of cakey bunnies in our Easter household, my mom's favorite Easter candy are Mounds and Almond Joy. 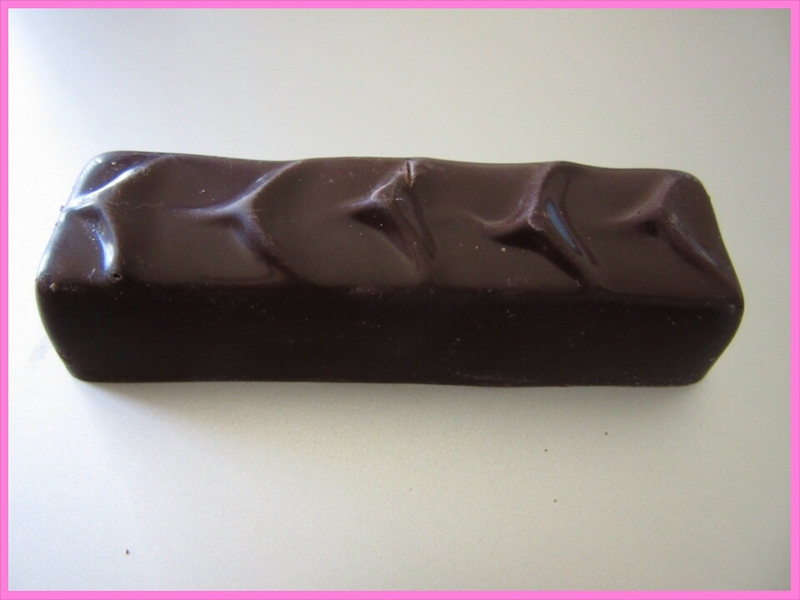 So when I stumbled upon OCHO Coconut Candy Bar, I was eager to see if it would fit the bill for a painless non-vegan to vegan swap. This bar is organic and is certified vegan. I also appreciate a company that labels there food as vegan, because it saves me a little time of reading through the ingredient list. In addition, the bar is also made in the U.S.A.
As for the ingredients, the list is as follows: organic dark chocolate (organic dried cane sugar, organic chocolate liquor, organic cocoa butter, organic soy lecithin, organic vanilla), organic tapioca, organic coconut, organic sugar, salt and natural vanilla flavor. While the ingredients are not overly processed like some of the typical candy bars on the market, I would not recommend these as a healthy snack, but they would make an excellent holiday or occasional treat. Each bar is one serving and is 200 calories with 110 calories from fat. There are 2 grams of protein, 3 grams of fiber, and 14 grams of sugar. I spent $2.09 on my OCHO bar, which is not incredibly expensive, but if you bought one per week that equates to over 100 dollars, so I think when considering nutrition and price, make it more of an every-once-in-a-while buy. However, it is a great and inexpensive solution for an Easter basket. As for the taste, I believe the first words my husband said were, "Oh yeah!" It is a dead on match with a Mounds bar. I am so sure that only the CEO of Mounds could tell the difference. Score one for the vegan team! This is not a switch that feels like a sacrifice at all. While vegan food has come a long way, there are still a few non-vegan foods that are just very difficult to replicate, and the alternatives can often be viewed as lacking. But, I can say with a full heart, that my mom will not miss the Mounds bar when I slip this into her Easter basket. The chocolate to coconut ratio is really lovely, and neither one over powers the other. Which seems amazing to me when you look at the picture above and see how much coconutty goodness is in each bar. The coconut is fluffy and sweet, which offsets the richness of the dark and bitter chocolate that surrounds it. I also really appreciated the decadence of the bar. Cameron and I split one, and I felt perfectly satisfied with the half. I could have easily eaten a whole one, but I love a dessert that gives me a wonderful mouth-feel, sweetness, but does not leave me wanting to eat 27 of them. The perfect dessert is one that lets you enjoy the moment, satiates, and leaves a fond memory rather than a craving. Overall, I am thoroughly pleased with this OCHO Coconut Candy Bar. It works well as an occasional treat, and will seamlessly fit into our Easter tradition! While I don't think it will solve my coconut Easter bunny cake dilemma, it will win the hearts and tummies of my non-vegan, coconut-lovin' family. Perhaps, I will even change the lyrics to "Here Comes Peter Cottontail" from "orchids for your mommy" to "OCHOs for your mommy and and Easter bonnet too!" Well, got to go scour the intergoogles for a scrumptious Easter coconut cake recipe...Wish me Luck! "Should we get kale chips?" "Yes, I could review some." "Great! Let's get two bags then." So readers, you have become my excuse to not only buy the kale chips, but also get the second bag, so thank you from the bottom of my heart and my stomach. In regards kale chip brands, the save-up-your-pennies kale chip goes to Brad's Raw Food. Their variety of kale chips are, as my friend would say, "thebomb.com" But, they are not cheap, so we bide our time and watch for sales. However, last week, we stumbled upon a new Brad's Raw product, so we handed over our money for the sake of science. Okay, not science, but for the sake of the blog, which is almost as noble of a cause. This new product was a chip. Not the kale leaves coated with seasonings, but a "chipy" chip. A flat, crunchy, dip it into something chip. Before I get into the taste of this chip, I want to discuss its specs. The chip consists of: Carrot, Kale, Flax Seed, Buckwheat Groats, Orange Juice, Onion, Apple, Lemon Juice, Extra Virgin Olive Oil, Garlic, Himalayan Sea Salt, Sesame Seed. This product is organic, gluten free, raw (dehydrated below 115 degrees), and non GMO. Thus, you can feel very good about the quality of the ingredients and the wholesomeness of the final product. The bag holds three ounces of chips, and there are three servings in each bag. Okay, what you all have been salivating for, the taste. In all honesty, I did not love the taste of these chips by themselves. Did I hate it? No. But, would I demolish a whole bag and wish for more? Probably not. I think this is for two reasons. One, the chips are not as crunchy as the standard chip, or even Brad's typical kale chip. And for some unexplained reason controlled by the reptilian part of my brain, I need a crackle when I bite down on a chip. Two, there is a strong garlic and earthy taste to these chips. Perhaps, it is the combo of garlic, seeds, and groats, but the chip alone leaves me wanting. However, there is a happy ending to this story. These chips do taste fabulous with hummus. I am sure that they would pair well with any dip, but their was something magical about this chip slathered in the creamy hummus. I think that the fat from the dip helped to balance the earthy and slightly bitter taste from the kale. In fact, I liked the taste of the chip in contrast to the hummus very much. These chips do not come cheap. They will cost you about seven dollars per bag. While I salute and applaud Brad's integrity and intention they put toward their products and ingredients, I am not sure that the price is worth the taste. However, as a company Brad's puts out amazing products, and I was surprised to find myself underwhelmed by these chips. On the whole, the chips are fun to eat with a dip, are very nutritious, and guilt-free, but their stand alone taste does leave something to be desired, and they are pricey. However, Brad's Raw Chips do come in other flavors, such as Beet, Sun-dried Tomato, Sweet Potato, and many more. I only have been able to try the Kale version, and since I have such faith in Brad's Raw Food's other products, I am still eager to try the other flavors. If you have tried the other flavors, please let me know how they were. If not, let me know what your favorite healthy chip is. Happy snacking! While I cannot remember my first Reese's cup, perhaps it was after a delicious Halloween haul, or at a school function, but regardless, whoever first introduced me to the perfect union of peanut butter and chocolate was a very kind-hearted soul. So, thank you thoughtful childhood neighbor or generous elementary teacher. Now, I believe there might be two kinds of people in the world: people who LOVE peanut butter and people who don't. I am in the "I can eat it straight out of the jar camp." So yeah, I love the nutty stuff, and it only would make sense that Reese's seemed to go so quickly in my household. So, when I made the switch to veganism, I bid my sweet, scrumptious, peanut buttery friend good bye. That was a bittersweet (yes, I do intend the pun there) day. I am grateful for the switch to honor my health and values, but I missed that chocolatey cup. After many lonely years without peanut butter and chocolate swirled in one bundle, I heard about Justin's on a vegan podcast and a joyous celebration ensued. Yes! Finally, I could not only feel nostalgic about the candy, but relive the delightful and addictive taste again. Organic Dark Chocolate (Organic Evaporated Cane Sugar, Organic Chocolate Liquor*, Organic Cocoa Butter*, Organic Soy Lecithin, Organic Vanilla), Organic Peanuts, Organic Powdered Evaporated Cane Sugar, Organic Palm Fruit Oil**, Organic Peanut Flour, Organic Cocoa Butter, Organic Vanilla Flavor, Sea Salt, Organic Soy Lecithin. When put side by side, Justin's wins out for clean eating every time. Obviously, there is an absence of milk products, but the ingredients are organic and, well, readable. Because, nothing is more suspicious and off-putting than shortening your ingredients to initials, like PGPR and TBHQ. What are PGPR (Polyglycerol Polyricinoleate) and TBHQ (Tertiary Butylhydroquinone) anyway, and do they really need to be in my chocolate? Thus, if you are looking for food that stays away from preservatives that maintain the color of your food (TBHQ) or additives to reduce the viscosity of chocolate (PGPR), than Justin's Dark Chocolate is certainly a better option. Regardless of naturalness, Justin's will not go any easier on your waist line or reduce the amount of gym time you have to do to burn this off later. In fact, Reese's and Justin's have an almost one-to-one ratio for calories, fat, and carbs. Both serving sizes are two cups (the whole package), and both of the calorie counts sit at 210. Surprisingly, Justin's even has a higher total fat by one gram. However, with ingredients like PGPR that bump up the creaminess, Hershey needs less fat to create a similar effect. On the other hand, the mainstream competitor in this show down cannot proclaim its ingredients to be organic, to use sustainably sourced palm fruit oil (orangutan friendly palm oil), or be Rain Forest Alliance certified. Thus, we see that Justin's is striving to put out a classic treat in a cleaner and a more sustainable way. Okay you say, enough about the ingredients and cleanness of ingredients. Let's here about the taste. Does it match your childhood nights of Halloween gorging? The short answer is yes! In fact, I shared it with my Reese's lovin' family, and a delicious time was had by all. As we tasted the cups, I listened very carefully to their first time reactions. The first words out of my mom's mouth were, "Oh, you can't even really taste the difference," and words like creamy, salty, and nutty were generously given out. While the experience is very similar, there are some subtle differences, and certainly, some are for the better. First, the chocolate is dark, so the taste is much richer and that slight bitterness of dark chocolate carries on at the finish of the bite. So, if you are a dark chocolate fiend, this is certainly a good thing. Also, the chocolate is exceptionally creamy, which marries well with the saltiness of the peanut filling inside. Compared to its Hershey's counterpart, the peanut butter is more savory and less sweet, but I like it that way. It provides a nice contrast to the sweetness, bitterness, and creaminess of the surrounding chocolate. Perhaps, the only downside to the Justin's cups are the thickness. They are not as substantial, but the richness does not leave you wanting five more, so I do not see this as a major problem. Each bar costs about two dollars, depending on your vendor, so I would not recommend these as an everyday treat on behalf of your wallet or your waist line. But, when you get that hankering to walk down peanut butter chocolate memory lane, these come highly recommended. I am not one of those people who goes around shouting, "Give Me Chocolate, or Give Me Death!" Perhaps, I used to think I was, until I met my husband. For example, when sitting at a restaurant, I can tell you without looking at the menu which desert he will get. He wants the most dark chocolately, chocolaterson, chocolishessness that he can get his hands on. And while he wants death by chocolate, I want something that won't weigh me down. Now, if you think I don't like chocolate, I am giving you the wrong impression. I really like chocolate (like a best friend). My husband is just one of those people who loves chocolate with a fiery passion. Perhaps, this difference in desire for chocolate keeps us balanced. And balance is what marriage is all about people. Thus, with that logic, what keeps a marriage is chocolate. As for today's specific chocolate, I really love Theo's chocolate in general. They make a lot of delicatable flavors ranging from sea salt, candied ginger, to cherry. So, unless you dislike chocolate, Theo Chocolate has something to suit everyone's taste buds. However, today, I will be reviewing their Orange Dark Chocolate, which is the hubby's favorite one. It really makes my heart glad, when a company makes an effort to provide food that is not a detriment to our bodies and our society. So many people today are becoming aware of the problems associated with non-organic and gmo foods. However, fair trade issues seem to be talked about less often. While the fair trade issue inhabits every aisle in the grocery store, the chocolate industry struggles hugely with a lack of fairly traded goods and services. Often growers are not paid adequately and sometimes child labor is involved. So, I applaud a chocolate company that makes a decision to ensure that not just their customers are treated fairly. Okay, so off the fair trade bandwagon, and on to the deliciousness. While eating too much of this chocolate might expand your waistline, you can be assured that the ingredients are relatively clean and few. The list is as follows: Cocoa Beans, Sugar, Cocoa Butter, Ground Vanilla Bean, Orange Essential Oil. Sure, it would be nice to see a more natural sugar, like dates; But, as far as chocolates go, this one can certainly compete against most other highly processed chocolates. In regards to taste, this bar delivers. The orange flavor is pervasive throughout the whole bite, but sings right at the end. The after taste leaves you with that bitter dark chocolate flavor, that you either love or dislike. I appreciate the after taste, because the richness leaves me satisfied, and I do not feel like I have to eat the whole bar in one sitting. As far as mouth feel goes, it is creamy and melts quickly, but it is far from the instant it hits your tongue creamy melty goodness. This is possibly due to the relatively high 70% of Cocoa in the bar. To make this bar even more enticing, Theo Chocolate sells their bars for four dollars. And yes, if you are used to Hershey's, that feels like robbery. But, remember to consider the high qualitiy of the ingredients. And, other companies that tout similar labels (organic, noon gmo, etc) charge closer to five or six dollars a bar. Also, my local grocery store frequently puts these on sale. I just bought mine for three dollars! One thing to note, if you are vegan, is that while their packaging states that the bar is suitable for vegans, it is processed on shared equipment that uses eggs and milk. This, of course, is your call, but I like to support not strictly vegan companies with my dollar, and vote for vegan products. Overall, this is a fantastic bar that has great taste, fun flavors, and ethical values. If you find it nestled on your local grocery store shelf, or at their website, I would encourage you to try a flavor that piques your interest. If you do, tell me in the comments below, and let me know what you thought. Kale Chips. My unguilty pleasure. Three years ago, I had no idea that they existed, and now, they are a weekly part of my life. Their crunchy deliciousness really astounds me every time I buy or make them. They reign supreme over all snack foods in my household. Even the lurid temptresses, Salt and Vinegar Potato Chips, are paled by comparison. However, can you imagine salt and vinegar kale chips? (Woah, I need a moment. My two loves combined.) Regardless of S&V's tangy temptation, kale chips win out every time in my cart and in my pantry. While I have a general love of kale chips, Rhythm Superfoods has produced a rather enjoyable snack. In fact, so enjoyable that they rarely make it all the way home from the grocery store. They make excellent on the drive home snack. Well, if you don't mind some green crumbs sprinkled on your chin, shirt, and seat. But don't worry, a quick shake off when you arrive to your destination will absolve you from any evidence. The Zesty Nacho flavor, one of Rhythm Superfood's many, does a decent job of nailing the "cheesiness" of traditional nacho chips. All without the aid of nutritional yeast, a traditional cheese flavor substitute in vegan cooking. While they are not going to fool any non-vegans in a blind taste test, they are yummy. However, these are not the best kale chips that I have eaten. Of course, nothing beats fresh out of the oven. But, even from the store, I have had better. These can taste a little bit bitter and flat. You can tell that they were not dehydrated yesterday. On the other hand, I have never had a bag last more than 5 minutes, so in total, they are both zesty and flavorful. In regards to size, when you first open the bag, you get a few glorious crunchy enormous pieces. As you get closer to the bottom of the bag, the pieces get smaller. But the average one is slightly bigger than a quarter, which is nicely bite sized. However, I wish there were more large ones. I am not sure why, but finding them is like finding a trunkful of gold amongst gold doubloons. So, when you give these a try, cherish the few trunkfuls of nachoy kale. Another plus about this brand is their quality for price. They are raw, gluten-free, non gmo, and organic. For all of these qualities, I only spent 5 dollars. Which for a 3 minute drive home inhale, is pricey. BUT, compared to their competitors, they are 2-3 dollars less expensive. so, if you are looking for a "budget friendly" indulgence, then Rhythm Superfoods is a great product. These chips are made with very clean whole foods. Their ingredients include: Kale, Sunflower Seeds, Tahini, Onion, Red Bell Pepper, Apple Cider Vinegar, Cane Sugar, Carrot, Sea Salt, Garlic, Lemon Juice, Chipotle Powder. These chips make a wonderful snack, and if my tummy insists on a kale chip quick fix, but my wallet is feeling light, they are a nice compromise. My dog, Winkle, even was hoping to partake!